(2) I grilled my sausages on two sides, then cut them in half and grilled them a little longer on the inside. (3) Heat the 4 cups of milk to a boil with a pinch of salt. You can substitute water for the milk or any combination of the two. Gradually add the polenta to the boiling milk. Whisk until all the clumps are broken up. 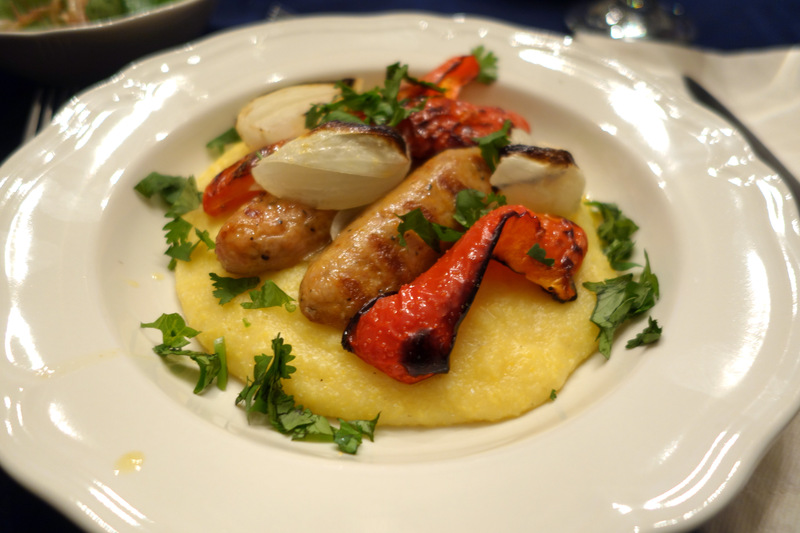 Cook the polenta for 5-10 minutes. Remove the polenta from the heat and add 2 tbsp of butter to it mixing until the butter is fully melted and well combined. Add the Parmesan cheese to the polenta and mix until it is well combined. 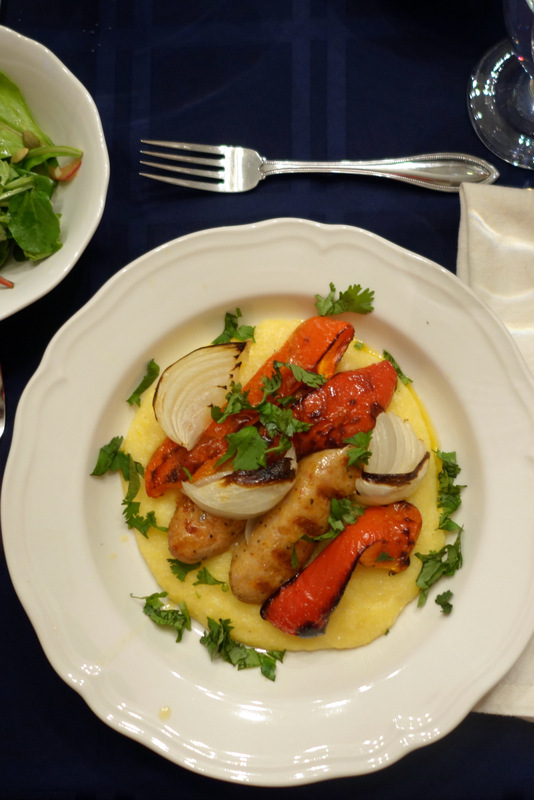 (4) Arrange the roasted peppers, onions, and grilled sausage over the creamy polenta and garnish the dish with cilantro and jalapenos. This entry was posted on September 24, 2015 by natalyaperullo in Uncategorized.